When it comes to the hottest toy on the market, this holiday season belongs to Nintendo and its lineup of over 130 games. With a diverse lineup of software, many of them exclusively available only on the NES, Nintendo has hit the big time and is expected to have a record breaking holiday season. Some games, like Super Mario Bros. 2 and Zelda II: The Adventure of Link, are so popular that parents have waited weeks to try and secure a copy. Retailing for $99.99, the NES Action Set is the most popular video game system selling on store shelves today. It comes with everything you need to get started: the Control Deck, 2 controllers, a Zapper light gun, and a double Game Pak that includes Super Mario Bros. and Duck Hunt. When 13-year-old Peter Gambardella of Staten Island drifts off to sleep these days, he’s not counting sheep but battling with Mini Bosses, Zoomers and Rippers, and perfecting his plan to destroy the dread Mother Brain. Mike Wetch, a high school student in Tacoma, Wash., is savoring his second-round knockout against Mike Tyson (his friends know he’s the only kid in Tacoma who’s done it), and Paul Sposata in Manhattan is thinking of the top items on his Christmas list: games called Paper Boy, Xenophobe and Rampage. These are the daydreams of young Americans, but they are based on hugely successful video games, called Nintendo, that are made in Japan. Some 10 million Nintendo ”home video entertainment systems” have been sold in the United States in recent years and have sparked a firestorm of interest that toy industry experts – and millions of teachers and parents – say is America’s latest toy craze and teen-age cultural phenomenon. For the uninitiated, the basic Nintendo system consists of a control deck that attaches to any television, transforming it into a screen that plays video games. This ”hardware” comes with a hand-operated ”joystick,” which the players use to control the on-screen video. This costs about $100. Then, there are ”software” game cassettes to be inserted in the control deck, which cost from $25 to $45 per game. When played, the game cassettes can take up to 70 hours to complete. Nintendo, the company, is a tale of how a 99-year-old Japanese firm, which got its start making playing cards, came up with a winning product that has broken all toy sales records for two years running. If current estimates are right, within a year it will be found in nearly 20 percent of all American households, up from 12 percent now. Nintendo was the best-selling toy last Christmas and throughout 1988, according to a Toy and Hobby World survey. The company entered a field once dominated by such early leaders as Atari. With a brilliant marketing plan, perfectionist attention to product quality and sophistication and extensive customer service, it now commands more than 80 percent of the video-game market. Even more remarkable is Nintendo’s success at grafting its games – many of which are based on fantasy adventures created in Japan – onto American culture. Nintendo first scored a big success in Japan with a predecessor video game called ”Famicom,” which was sold to one of every three homes in Japan, before it was skillfully transplanted into American culture in 1987 under the Nintendo name. Prior to that, Nintendo was best known to American consumers as maker of the popular ”Donkey Kong” and the original ”Mario Brothers,” which were among the most popular arcade games in the video game boom of the early 1980’s. For Minoru Arakawa, the president of Nintendo of America, based in Redmond, Wash. (and the son-in-law of Hiroshi Yamauchi, president of Nintendo Company Ltd., the parent company in Kyoto, Japan), the key to Nintendo’s strong success here is simple. Yet Nintendo’s success goes beyond the universal thrill that kids get from challenging games. It is also the culmination of a series of carefully planned marketing and advertising ploys. Underlying Mr. Arakawa’s simple philosophy is a complex business plan that was based on patiently watching the American video-game industry and coming up with a product that was better than the rest. ”The toy industry has never seen this kind of sophistication,” said Allen Bohbot, chief executive of Bohbot Communications, a New York firm that specializes in placing ads and commercials for toy marketers. Indeed, the Nintendo games themselves – with their colorful names and eccentric cast of characters – have proved to be the company’s best advertising, creating word-of-mouth excitement that spreads as fast as the word on the latest rock group or Steven Spielberg adventure movie. Where baseball cards and comic books were once traded in school yards, the hot talk now among teen-agers is of ”Zelda II – The Adventure of Link” and ”Super Mario Bros. 2,” the hottest Nintendo video games of the season, both of which were created by video game writers and programmers in Japan. Many Nintendo best sellers, like ”Super Mario Bros. 2,” are based on wildly preposterous premises, this particular one being two mustachioed Italian janitors who endure various trials, such as dodging hammer-swinging turtles and lava balls and man-eating plants, in order to save a Mushroom Princess. No matter. Kids can’t get enough of the games. Nintendo is riding the crest of an American video-game market that has been punctuated by sharp boom-and-bust cycles. The industry itself dates back to 1979, when the first games were introduced. But its heyday came when industry sales skyrocketed from practically nothing to $3 billion in 1982. A bust followed the boom, and industry sales sank to $100 million by 1985. It was during the dark days of 1985 and 1986 that Nintendo successfully test-marketed its games in New York City and Los Angeles, and decided that the slump was artificial, caused by a flood of uninteresting games and dramatically varying prices. 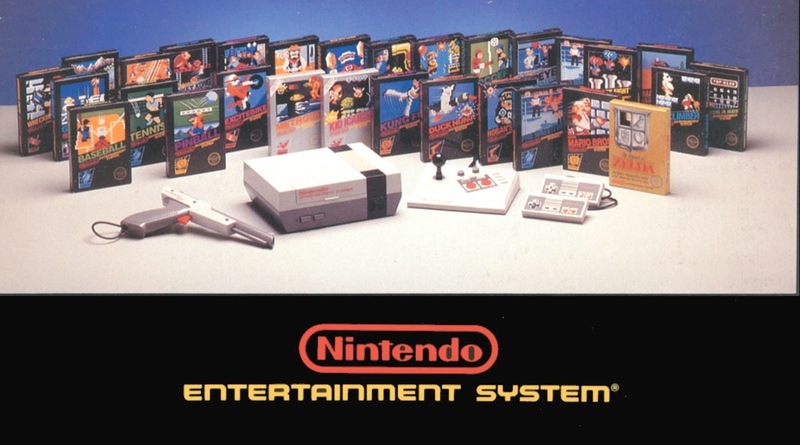 Vowing to keep its game quality consistently high and to carefully control its prices, Nintendo in late 1986 followed up its successful test markets with nationwide marketing. In 1987, the company sales were $750 million (grabbing 70 percent of the video-game market), and it projects sales of $1.7 billion this year (increasing its market share to its present 83 percent). The caution reflected Nintendo’s concern that there be enough demand for video games before it plunged into the American market; it also wanted time to develop the type of quality software games that held players’ interest. To do this, Nintendo drew on 34 software companies to make the games, which were carefully scrutinized before being manufactured. Meanwhile, Atari, an American company which had led the home video-game boom in the early 1980’s, and Sega, another industry player that had entered the market later, fell to a distant second and third place, respectively, in the market. The software is incompatible: one cannot play an Atari game on a Nintendo player deck. And at this point, by far the greatest number of games – and the highest-quality ones, most children say – are made by Nintendo, making it the system of choice. Nintendo (the name in Japanese means ”you work hard but, in the end, it’s in heaven’s hands”) started making hand-held computer games in Japan in 1970. It began manufacturing the ”Famicom” home video-game system in Japan in 1983, and it was a quick success; it has sold 13 million units to date. WHAT sets Nintendo apart from the rest – on both sides of the Pacific Ocean – is its games. They come in essentially two types: sports games, including golf, football, baseball, boxing, and track and field, and adventure games, in which players guide a video character through various perils – through underworlds and overworlds filled with castles and dungeons with trap doors and secret passageways, over lava pools and past fire-breathing dragons and demons. The games challenge the players’ manual dexterity in dodging missiles and other attacking enemies, and the tricks and traps found throughout the intricate fantasy domains require cleverness and memory to master. In Japan, after the Famicom system became popular, two independent publishers there successfully printed glossy subscription magazines for Nintendo users, filled with tips and information on the games. In America, Nintendo emulated that success with its own bi-monthly magazine, produced by writers and editors in both the U.S. and Japan. Entitled ”Nintendo Power,” it sells for $15 for six issues to any purchaser of a Nintendo system. With a circulation of around one million paid subscribers, Nintendo Power Magazine is now one of the largest children’s magazines in the country. What’s more, the company has established a telephone hotline in Redmond, Wash., which is manned by 60 Nintendo adult ”game counselors,” who answer 50,000 calls and 14,000 letters a week from stumped players. Indeed, Nintendo uses larger memory chips than have ever been used before in video games – up to three million bits of information, compared with 8,000 bits used in many early-generation video games. Occasional shortages of computer memory chips have limited production of some highly popular Nintendo games, causing an outcry among retailers and frustrated players. But the company carefully monitors sales, putting out new titles and pulling slow sellers. It generally prefers to undersupply stores than to oversupply them. Meanwhile, kids seem to find the scarcity of the game, and the marathon phone calls to find a store that has them, as challenging as the games. ”You want to find out what happens at the end, and when you do, you tell all your friends you did it,” explained Peter Gambardella of Staten Island, N.Y., who plays between two and three hours of Nintendo a day.